The new ORBITOR ECO from the SPRAY NOZZLE PEOPLE is a new class of tank cleaning head. Whilst similar in design to a standard fluid powered impingement tank cleaner it has been modified to serve a different function and promises to dramatically reduce water consumption, particularly for applications with smaller tanks, or those with lighter residues. Impingement tank cleaners have always been the most water efficient way to clean tough residues or larger tanks in most process, chemical and food industry applications. The powerful cleaning jets break down even the toughest of residues with minimal water and they remain the most cost-efficient cleaning method. However, in smaller tanks or those with light soluble residues, impingement cleaners are often regarded as an unnecessary expense. Their powerful cleaning action is not normally required in such situations and the set time to complete a cycle significantly reduces their overall water efficiency when only quick cleans are needed. The Orbitor Eco changes all this. It’s still a powerful impingement cleaner but has been specially geared to complete its cleaning cycle much faster, ranging from 1.7mins up to 6 minutes. 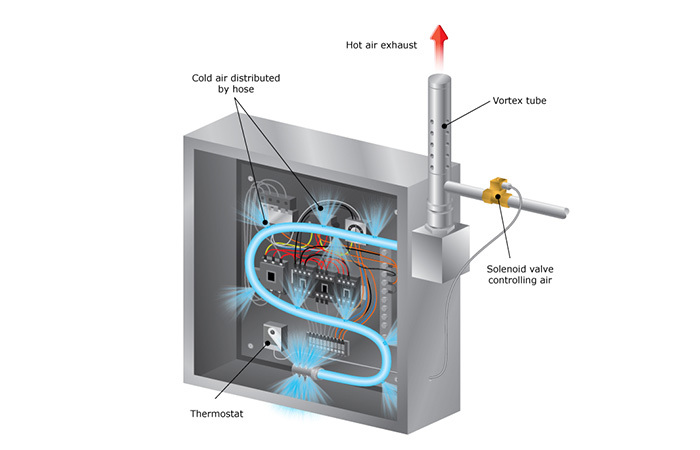 Cycle time will depend on the specifics of the application, particularly water pressure, although the Eco is designed to operate at pressures ranging from 4 to 12 bar. 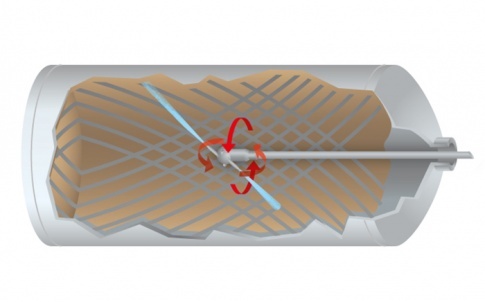 The fast rotation sacrifices some of its cleaning power but it also dramatically reduces the water used per cleaning cycle and minimises downtime. 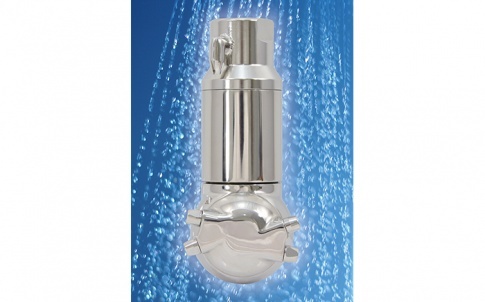 When compared directly with other types of cleaning nozzles like spray balls, it can complete a similar job in far less time using up to 95% less water. The savings in water translate directly to savings in the pocket for any business, particularly when you factor in that water actually costs a business three times. Firstly, to buy it, then to pump it, and finally to dispose of contaminated water. How much depends on the specifics of each tank cleaning application, but it does illustrate the potential triple savings when ALL the costs are included in the calculation. For example, if you do the maths on using 500 litres as opposed to 4000 litres to clean a tank each time (a not un-typical water saving) the return on investment for deploying a new breed fast cycle impingement cleaner like the orbitor Eco will be measured in months or weeks, rather than years. 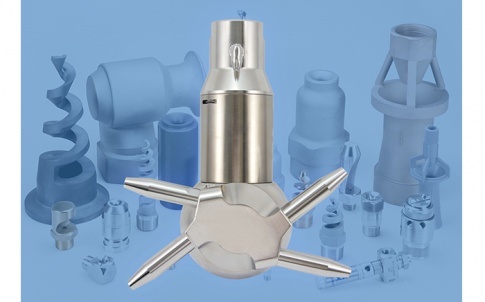 The Orbitor Eco is one of a wide range of spray nozzles available from The Spray Nozzle People who have been supplying spray nozzles for over 15 years to the engineering, food processing, chemical and petro-chemical industries in the UK. The Spray Nozzle People (SNP) part of the Spray Nozzle People Group have been supplying spray nozzles and associated tank cleaning equipment for over 15 years. Customers include the largest engineering, food processing, chemical and petrochemical companies in the world as well as a vast array of SMEs. 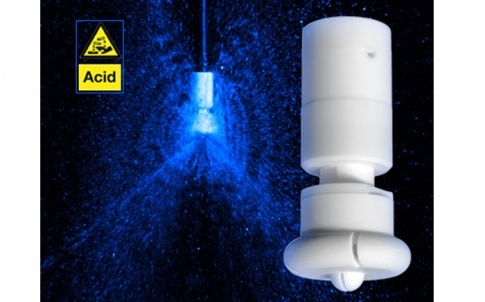 The Spray Nozzle People (SNP) part of the Spray Nozzle People Group have been supplying spray nozzles and associated tank cleaning equipment for over 15 years. Customers include the largest engineering, food processing, chemical and petrochemical companies in the world as well as a vast array of SMEs. Whether big or small our customers can rely upon decades of combined experience to ensure the correct nozzle is selected no matter the application. SNP are the leading distributor of standard and custom-designed spraying solutions for a wide range of industries and applications. All customers’ orders are handled quickly and efficiently from our dedicated stock-holding facilities, and we support our entire product range with in-depth technical and application support. SNP is an exclusive distributor for spray nozzle specialist, BETE Fog Nozzle Inc., metal finishing spraying systems manufacturer, Uni-Spray Systems Inc. and specialist paper industry nozzle manufacturer, ML Gatewood. We are also the distributors for the Orbitor range of tank cleaning system for UK manufacturer Dasic. 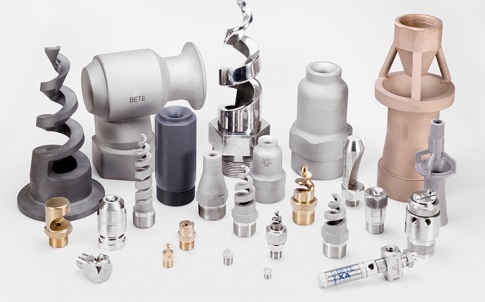 Our business started in 2000 as Bete Ltd a joint venture with Bete Fog Nozzle (a leading US manufacturer of spry nozzles) to start with the Bete brand was the only product we sold. Over the years we have added other nozzle brands to our range and have expanded the territories that we represent Bete Fog Nozzle in to include France and Spain. To offer a high quality, comprehensive product line with added value – the highest possible standard of service, technical knowledge and expertise. At SNP we are committed to maintaining our leadership role by the introduction of new products, improvement of overall efficiencies, and above all – by listening and responding to our customers’ needs. Our standard range of industrial spray nozzles consists of thousands of different options in many different materials including; Brass, Stainless Steels, Hastelloy, Stellite and Tantalum. However, over 65% of production is geared to custom solutions. 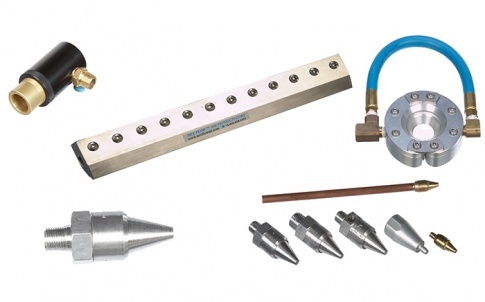 Added to this is our range of economical, customised, non-corrosive nozzle systems, couplers and adaptors in PVC, CPVC, Polypropylene, PVDF and Stainless Steel that are ideally suited (although are in no way restricted) to pre-treatment applications. But what we really sell is our expertise in spray nozzles. We advise our customers as to which of our products will be optimum for their specific spray application. Further details from: Ivan Zytynski, The Spray Nozzle People Group.